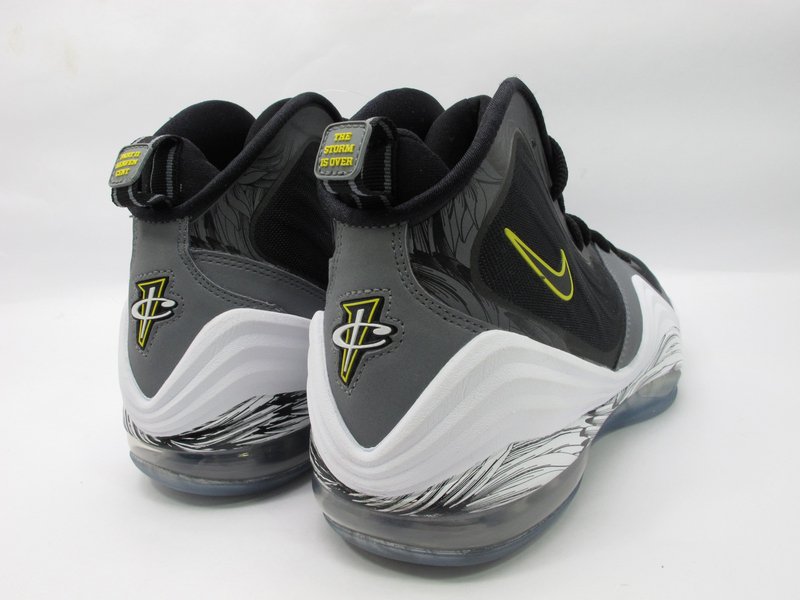 With the "Dolphins" Air Penny V set to hit accounts next week, let's take a detailed look at next month's release featuring a unique yellow-accented color scheme. 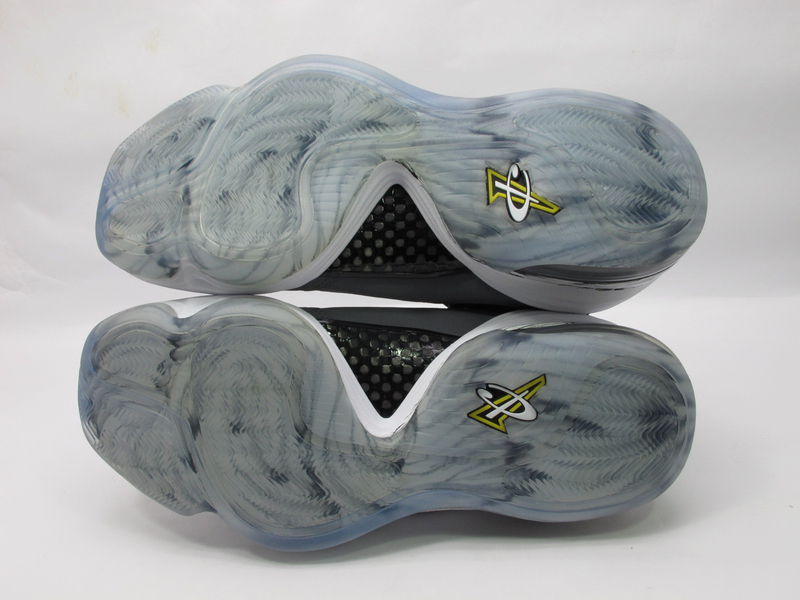 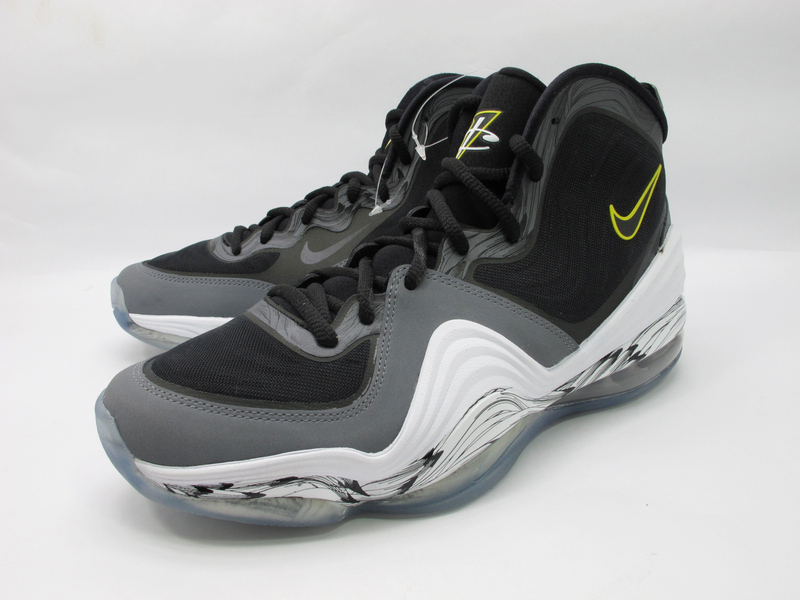 Following a number of clean colorways for the already highly successful Air Penny V, Nike Sportswear dressed the Penny signature in grey hues for the upcoming fall months. 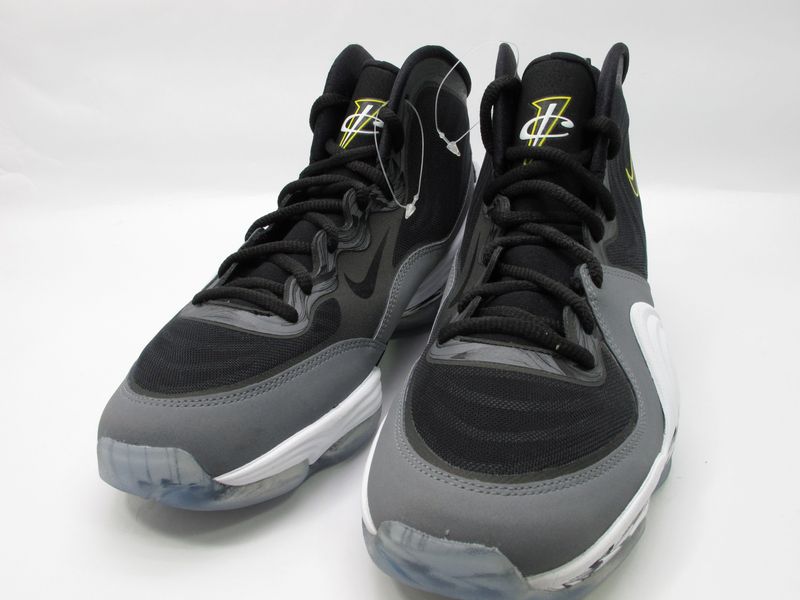 We see a combination of black and cool grey taking over the entire hyperfuse upper, topped off with a unique graphic along the midsole. 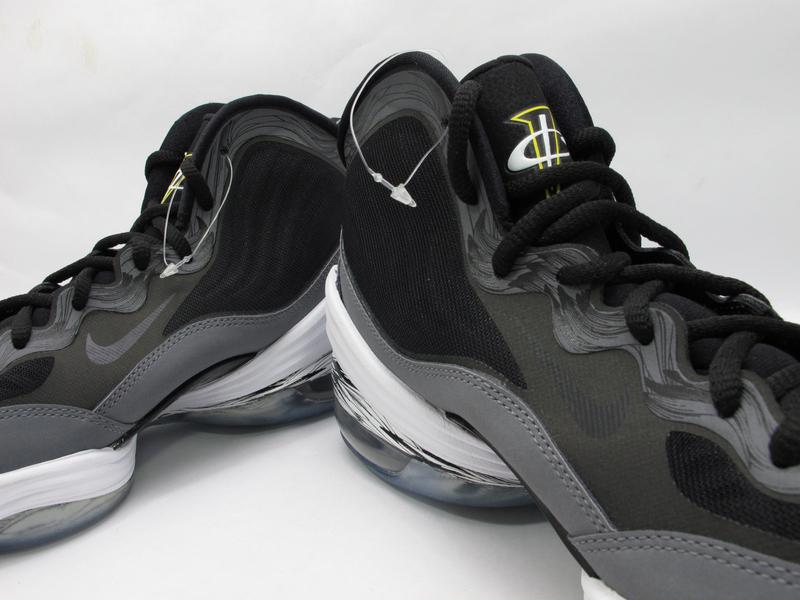 Hits of tour yellow finish off the clean look, taking care of the Swoosh and 1Cent logo outline. 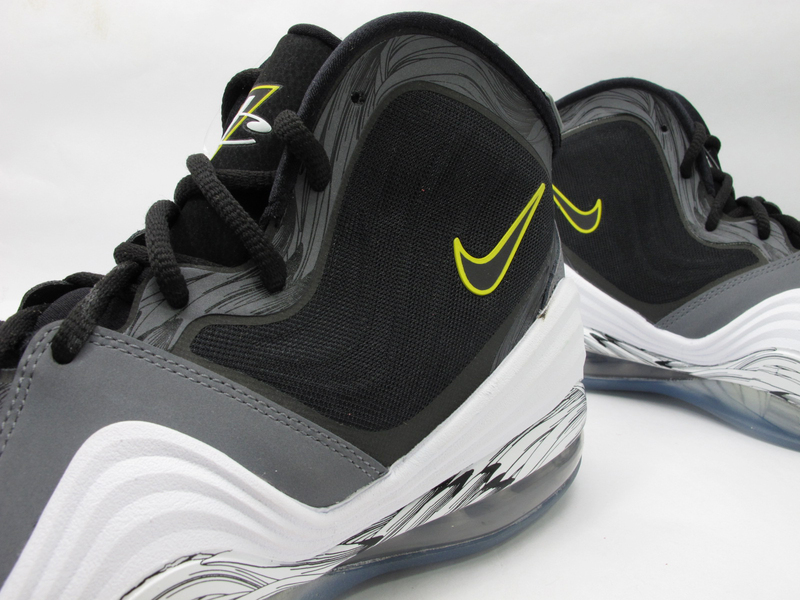 The Black/Cool Grey-Tour Yellow Air Penny V is set to hit select Nike Sportswear accounts December 26th.